Flexcin Joint Maintenance Review | Does It Work? Flexcin Joint Maintenance Review – Is This Product Safe To Use? What is Flexcin Joint Maintenance? Flexcin is an all-natural and is clinically proven supplement meant to promote maximum joint health. The combinations of ingredients in this supplement are meant to nourish the joints, stimulate lubrication of fluid joints, supporting stronger cartilage and increasing joint mobility. Try Flexcin is claimed to be risk-free that it’s sold with 100% money back guarantee. What is the Company Behind Flexcin Joint Maintenance? Flexcin joint maintenance is manufactured and distributed by Flexcin International. 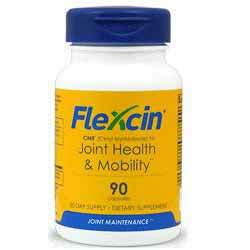 What are the Ingredients Used in Flexcin Joint Maintenance? How Does Flexcin Joint Maintenance Work? Flexcin joint maintenance works in such a way that it targets the roots of joint problems allowing free of joint pain within a period of4-5 weeks. It resolves the problem right from the core-cause of it. The manufacturer claims that this supplement is by 80% effective as compared to other supplements of the same category. What are the Pros of Flexcin Joint Maintenance? What are the Cons of Flexcin Joint Maintenance? Refund of the purchase price, less shipping and handling. You’re required to take 1 capsule 3 times a day with a full glass of water. If you have severe joint pains, you may take 2 capsules to 3 capsules per day in the initial stages or until your condition becomes much better. Is Flexcin Joint Maintenance Worth Purchasing? Considering that there are cheaper supplements than this one and which also works well, flexcin is not worth purchasing. The official website has not provided any clinical evidence apart from mere mentioning of “clinically tested ingredients”. The manufacturer does not mention any side effect caused by this supplement. Is Flexcin Joint Maintenance Effective? Though the manufactured indicates that the supplement takes 3-6 weeks to start working, there are still fears why there are no clinical studies to support this claim. Is Flexcin Joint Maintenance Right For You? Clinically unproven supplements or products are not very safe for your healthy unless they are taken under close supervision from the qualified medical practitioner. What Should I Expect When Taking Flexcin Joint Maintenance? The manufacturer promises joint pain alleviation after taking this supplement. The excepted period for results is 3-6 weeks. Will Flexcin Joint Maintenance Show Results? There are mixed feelings from those who’ve used flexcin; whereas you get a few are claiming that it works while the majority is of a different view as in it did not work for them. The expected period for results with flexcin is 3-6 weeks. Considering the information provided by the manufacturer versus the information left by customer reviews, there is a big disparity. Lack of clinical evidence is a sign of a supplement that has not undergone all the clinically accepted standards before a supplement is certified for medical use. You need to consult your physician first to see whether this supplement is safe and effective for you.